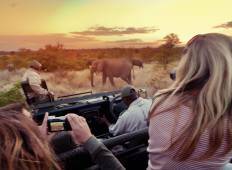 Discover Wildlife Tours in South Africa in August 2019, visiting places like Johannesburg and Cape Town. Book now and save with TourRadar.com! "The lodge(Bundox) was fantastic! Great staff, nice glamping type accomadations(plus..."
"I did the 6 day tour, the start I had delayed flights which caused some trouble and..."
"A great trip with great people! Would highly recommend the 5 day tour as the itinerary..."
"Organisation & communication for the trip was shockingly bad. 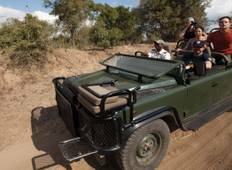 The tour itself was..."
"We will remember for many years this fantastic safari (Big Five in three days, incredible..."